I’m home today and I shouldn’t be, but I was up at 5AM listening to the early morning weather reports from my weather god, Chris Cimino, NBC and he was making me nervous. I know snow language well. Here in Paramus snow is rare but not up the NYS Thruway, not where I was headed. Getting there would be totally clear but coming home, that could be a problem: snow, sleet, freezing mix and even though my clothes were ready for me, I had a healthy lunch packed and my batteries were charged, I waited for the light, for the sky. I can’t read the sky but I felt I could start texting to the principal and to my PD partner. Both were up and supportive and with Tuvia’s input I opted to stay home and let Mary take the lead. She was probably better on her own today. Most of the presentation was on her shoulders anyway. Now I wasn’t always a Winter Wimp. In my younger days, in my hot cars when front wheel drive was a future dream, I was fearless. My younger self would be horrified to know that someday, I would become fearful. I loved the snow and the thrill of the ride to movies outside our town. But once you feel the fear, you have to embrace the fear. In fact, I ‘d say I wear my fear well. It took a good 30 minutes to move back and forth before the final decision but once the texts went out I was grounded in a free day home with Tuvia, the gym, packing for Cancun, guitar and ukulele practice and some work. 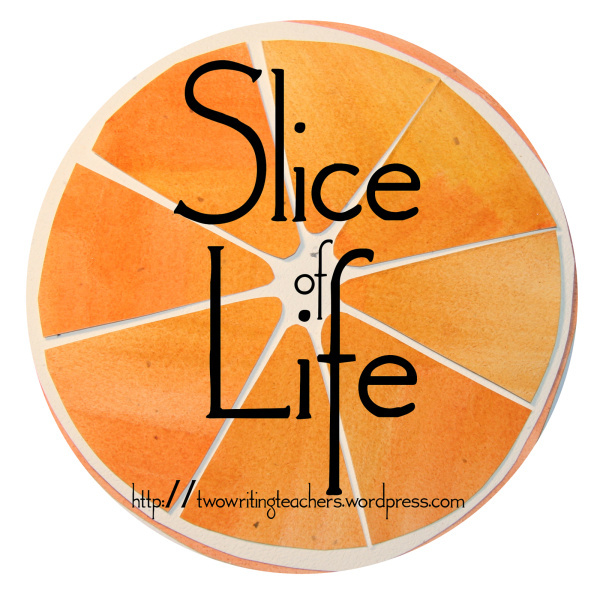 This entry was posted in December Photo-a-Day Challenge, Slice of Life Tuesdays, Two Writing Teachers and tagged #SLICEOFLIFE, December photo-a-day- challenge #sdawpphotovoices. Bookmark the permalink. Bonnie, I admit that the older I get the whimper I get about driving in winter weather. I trust myself, but there are many out there who take foolish chances. It sounds, however, like you have a full fun-filled day planned for yourself at home. I loved Chris Cimino when I was in NYC. He’s quite a good predictor! You made the right call, my friend. Safe travels tomorrow! You make me laugh with your self-imposed title of winter wimp. 🙂 Better to be safe than sorry and looking at a huge car repair bill. Cancun sounds like a great idea. Enjoy! It sounds like a good day, Bonnie, with Tuvia, planning for Cancun, OUT of the weather. Good for you for taking the step that seemed right. I’ve always been a weather wimp. I still remember the year our headmaster (from Ohio) came out to help me get out of the parking lot when I taught in Tulsa. When he had trouble, I knew I was in trouble. I prayed all the way home, and now I live where everything stops when the first flake falls! Actually we had a no snow “snow day” once! The predicted snow did not arrive, but they cancelled school just in case.